On a BBC interview on Monday last, Sir Terry reveals that back during the Troubles a parcel-bomb was sent to him at the BBC in London. Typically, he chuckled the event away: “Whoever sent in the bomb with my name on it cannot have been much of a fan because I was on holiday”. Why do so many Irish funny-men make it big in Britain? Because Britain is big and because it’s there. If you confine your ambitions to this island, as the showbands did, you’re limited to drawing your fans from a population around six million. If you go for it in Britain, you’ve a potential audience that’s ten times as many. There’s also the fact that in England you’re a relative rarity – your accent makes you stand out. I remember a unionist academic colleague of mine years ago telling me she hated going to conferences in England, because as soon as she spoke, people picked up on her accent and turned round to stare. For a comedian that’s a plus: you’ve a voice that’s quickly identifiable. But as in most things, George Bernard Shaw gets to the heart of the matter with a deft phrase or two. He said that the English expect the Irish to play the fool, and the Irish usually try to reward that expectation. It’s true. I spent a couple of years living in England and there’s a shameful temptation to fit into the pre-assigned broth-of-a-boy role. Had I spent five years there I’m sure the begosh and begorrahs would have bubbled up in my vocabulary to meet expectations. Why do the English have this expectation? They may or may not do it deliberately, but there are few more effective ways of decommissioning – or at least devaluing – someone’s point of view than to cast them in the court jester role. Old Sir Terry made a very comfortable living playing that part over the years, as to some extent did Shaw himself. 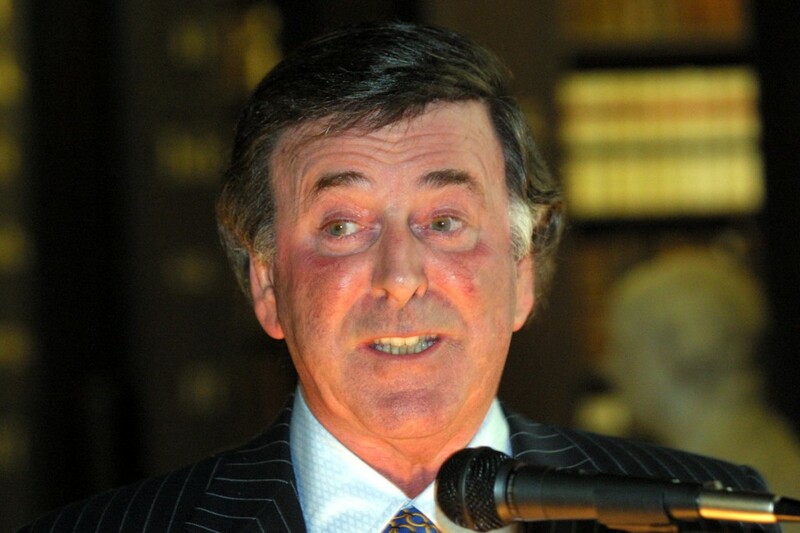 But unlike Shaw, Wogan made sure that anything interfering with his good-natured whimsy image was quickly pushed away: Looking back to the Troubles, he declared “What was being done [IRA violence] was not being done in my name”. In other words, “There are lots of decent Irish people like me who disown the IRA”. That kind of message was useful to the British authorities. It helped maintain a public image of IRA people as a bunch of psychopaths who gloried in killing and were detested by their own people. But it’s the daft-paddy image, not the anti-violence stance,that the English people really love in us Irish. It allows them the comfort of believing that to be English is to be normal and to be anything else (Scots or Welsh as well as Irish) is to be raw material for joke-telling. They are so quaint, aren’t they, and, bless ‘em, they have such a weird and hilarious way of looking at the world! On that belief in the amusing oddness of others the British built their empire.